It isn’t much of a stretch to acknowledge that stretch marks can be incredibly frustrating to treat and difficult to remove. Caused by pregnancy and fluctuations in weight, stretch marks generally appear on the abdomen, hips, thighs and buttocks. While most stretch marks remedies contain toxic ingredients that are absorbed by the skin into the blood stream, Stretch Marks Beauty Balm offer a safe, organic and natural treatment for stretch marks – not to mention one that is guaranteed effective. As a matter of fact, Stretch Marks Beauty Balm is the world’s only 100 percent all-natural USDA Certified Organic stretch marks removal treatment. Certified organic means that no toxins, chemicals, pesticides or other harmful ingredients are used to create this beauty balm. Unlike many products that advertise “all-natural” but still use pesticides, Stretch Marks Beauty Balm is safe for the skin and safe for the environment. 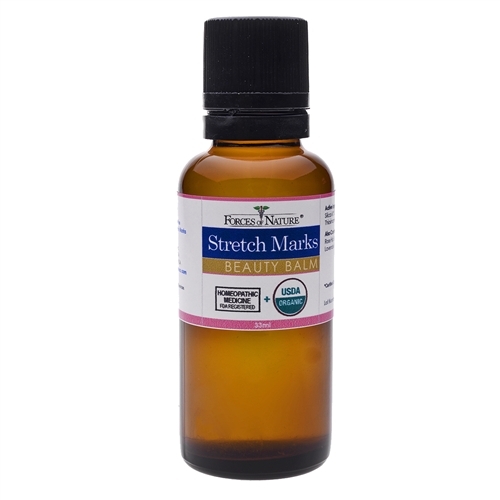 Not only is Stretch Marks Beauty Balm safe to use, it is effective in healing the skin and promoting rejuvenation – two keys to reducing and removing stretch marks on the abdomen, thighs, buttocks and hips. When it comes to Stretch Marks Beauty Balm, results are guaranteed. Ingredients include organic helichrysum oil from Corsica to speed cellular growth and assist in wound healing of all types; organic lavender oil to promote healing; rosemary verbanone chemotype, with ketones as the main component, which is valued for its regenerative properties; certified organic rose hip seed oil with triple unsaturated fatty acids to promote dynamic healing; omeopathic Thiosinaminum to heal stretch marks and damaged skin; homeopathic Silicea for improving skin health. Silicea is therefore useful for unhealthy skin; and calendula which promotes healing of skin issues. 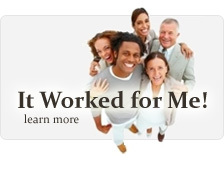 This proprietary formula for age spot removal was developed by the Forces of Nature medical team, which includes a naturopathic doctor and a staff biologist who specialize in plant medicine. Forces of Nature’s mission is to provide innovative natural medicines which deliver results to bring healing to the world. Stretch Marks Beauty Balm is backed by a one-year, money-back guarantee, like every Forces of Nature product.